It's no secret that we are Cordcutting.com are fans of the media center application Kodi. We've explained Kodi to newbies, picked out our favorite add-ons, and even shown you how to install Kodi on popular streaming devices like the Amazon Fire TV. But what if you don't use your computer as an entertainment center and also don't own any major streaming boxes? Well, you're not out of luck just yet. There's another option for adding Kodi to your media set-up, and it's a simple, low-cost solution. In fact, it will run you less than $50 and perhaps as little as $35, depending on what kind of accessories you have lying around. We're talking about using the Raspberry Pi. You may have heard of the Raspberry Pi, but for the uninitiated, it's just a very small, inexpensive computer. It's about the size of a credit card, comes without a case or any peripherals, and is often used for educational purposes or in geeky little projects. Ours, of course, is the latter. In fact, ¢geeky¢ might be too strong a word for what we're going to do. All we have to do to set this thing up is put Raspberry Pi on an SD card, plug it into the Pi, and then plug the Pi into the TV. Easy, right? Let us walk you through it. Raspberry Pi – Since running video is no easy task, we recommend you go with one of the newer models. We're using the Raspberry Pi B+, which only costs about $35. Power source – These are available for sale all over the Internet. You may even have a suitable one lying around – it's just a 5V micro USB power supply. 1 amp will work well with the Raspberry Pi B+ that we're using. Micro SD card (or SD card, depending on which Raspberry Pi model you use) – 2 GB, minimum. You'll get better performance if you splurge a little bit on this part. USB keyboard, mouse, and/or controller – For setting up your device. Computer with an SD card reader – You'll have to download Kodi to the SD card before sticking it in the Pi. 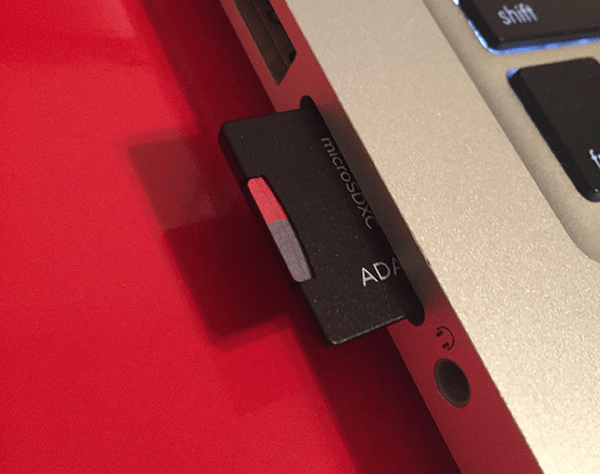 (optional) USB storage device – If you have a large video library, a portable hard drive is in order. (optional) Ethernet cable or wireless dongle – Kodi's add-ons let you stream online content. To get the most out of it, we recommend you have some way to attach your Pi to the Internet. (optional) A case – it's nice to keep dust out of your Pi. We didn't bother with the case, but we are not good role models. If you just want to install Kodi (and nothing else) on your Pi, and don't care too much about how we do it, you can safely skip this section. For the rest of you: in this tutorial, we're making a few assumptions. 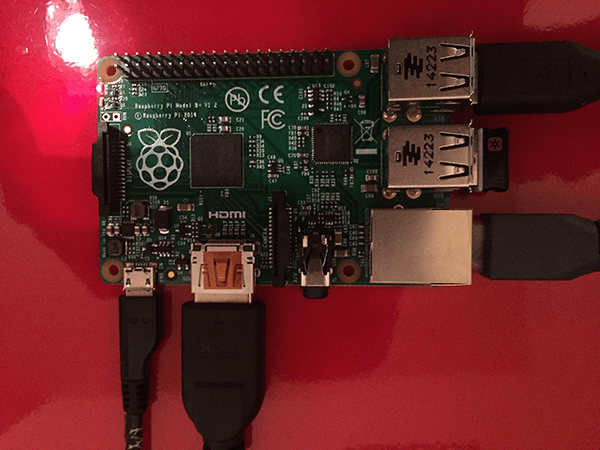 The first assumption is that you want to turn your Raspberry Pi into a dedicated media center and that you're starting fresh, with no OS installed on your Pi yet. 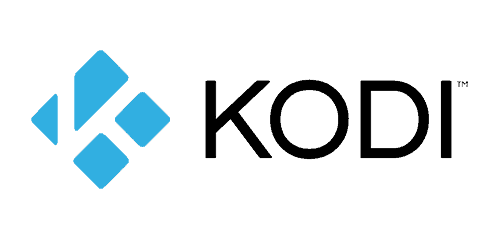 To be clear, there are also ways to install Kodi as a part of other, more complex projects – you can run the OS Raspbian, for instance, or add Kodi to the RetroPie project. For this how-to, we're keeping things super simple and just installing Kodi. Or, rather, we're installing as little as possible besides Kodi. We're using an ¢embedded operating system¢ that uses Kodi as its front end. Technically, you can't install Kodi as an operating system (for the simple reason that it isn't one), so you need an OS to run it and start it up whenever you plug in your Pi. So if we're being precise, we should say that we're installing a very lightweight OS and Kodi, not just Kodi. And, last but not least, we should mention that there are three major options for Kodi-friendly lightweight operating systems: OpenELEC, OSMC, and XBian. 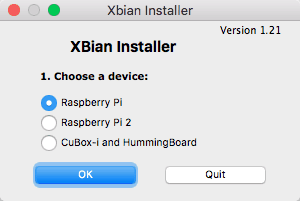 We're using XBian, for the simple reason that we've tried it and we like it. We think you'll like it too. Pretty easy so far, right? If you're using a micro SD card (like we are), you may need an adapter. If you read the Nerd Notes, you know that XBian is a super-lightweight OS that includes Kodi. 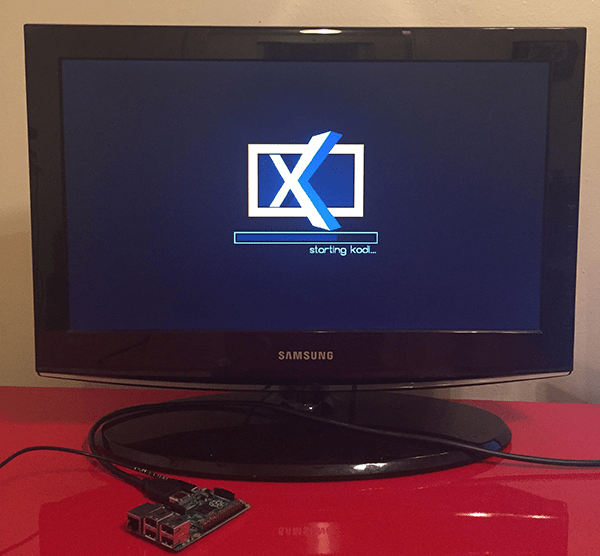 Once we install it on the Pi, you'll just see Kodi – the OS will boot directly to it. If you didn't read the Nerd Notes, that's okay. We wouldn't have, either. 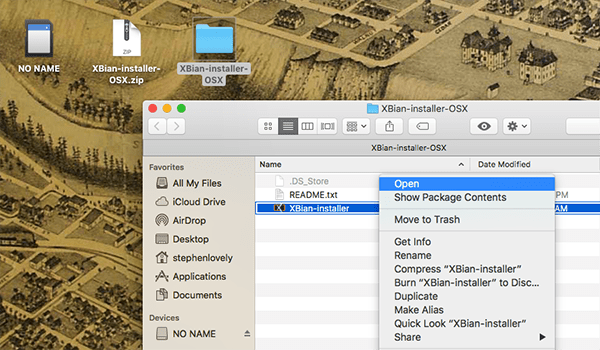 Head to XBian's website and download the right file for your operating system. 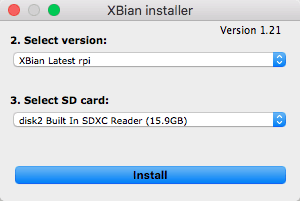 If you're using an OS besides Windows, Mac, or Linux, you'll have to download the XBian image and extract the disc image to the SD card as you would with any other OS. Here's a quick walkthrough of that process. If you're using Windows, you'll have to run the installer as an administrator. If you're using Mac, you'll have to control-click and select ¢Open¢ in order to get your computer to trust the downloaded program. The version refers to the Raspberry Pi – if you bought the one we linked to, you want the regular old Raspberry Pi one. The Destination should be your SD card. From there out, the installer will do it's thing. Just hang around and watch! The SD card goes into the Pi. The HDMI cable goes into the TV. Connect USB file storage and ethernet cables, if you have them. Then connect the power and watch it fire up! This is all automatic. Once it's set up, you're good to go! Start downloading add-ons, adding the file systems from your external storage to your library, and so on. For low-powered devices like the Pi, we recommend using lightweight Kodi skins. Maybe something off of our list of the best Kodi skins will catch your eye. If you have any trouble, check out the helpful Kodi wiki, the Raspberry Pi wiki, or the XBian “Getting Started” page. You can control your new Kodi-Pi in a bunch of different ways, but the easiest might be one of the Kodi remote apps available for phones and tablets. Other options include game controllers and the old reliable keyboard-and-mouse combo. Not all add-ons work on the Raspberry Pi, so be aware of that. Most, thankfully, do.